Popeye - BN Licensing B.V. It all started in 1929 when Popeye appeared for the first time in the comic strip “Thimble Theatre.” Since then, the popularity of the sailor with his muscled arms and inseparable can of spinach has only risen. Nowadays Popeye is one of world’s most famous comic and cartoon characters. But that’s not all, Popeye has become an absolute powerhouse for licensing! Not only is he the No. 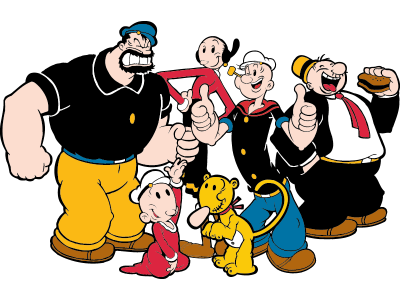 1 licensed character in food, Popeye is also a favorite of many of the important global fashion brands. ©2018 King Features Syndicate, Inc. ™Hearst Holdings, Inc.